Blimey. 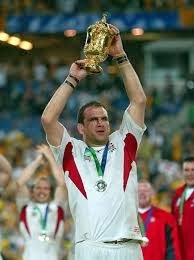 Just watched the re-un of the 2003 RWC Final. How good were England? By a huge margin the better team - hadn't quite realised how easily we should have won that match. Yes, Australia hung in and kicked their points but they should never have been in with a shout. Despite it being 10 years on and me knowing the result, I was pretty much shitting myself as the game progressed and extra time was almost as unbearable as it was back in 2003. Thank heavens for Saint Jonny at the death. Absolutely bloody brilliant. How can anyone possibly deal with that kind of pressure? - Hats off big time to Elton Flatley - balls of steel. - Andre Watson's performance gets no better with the passage of time. And finally - surely that must be it? Believe me, 2003 was utterly fantastic but, as I've mentioned before, surely now it's done and dusted. Of course it isn't. The only way to forget the past is to win the bloody thing again.